leather and veneers in different variations opens up in the conceptual planning. 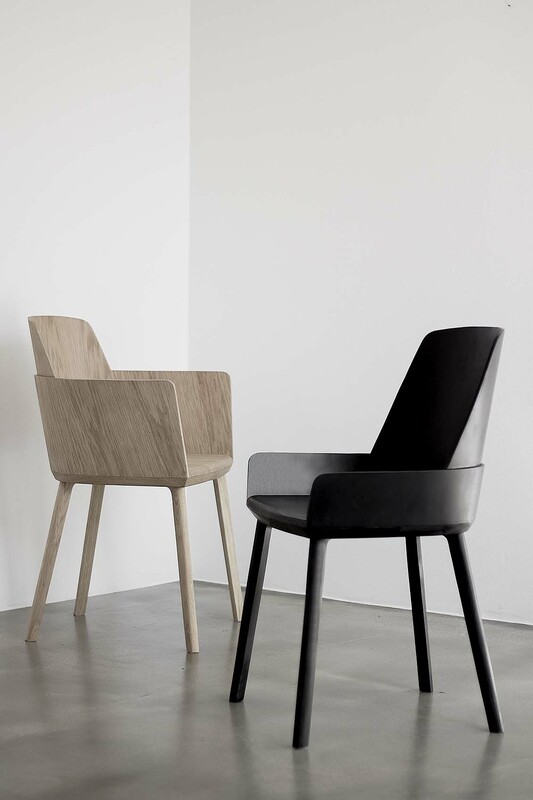 The layered shells also hide individual parts of the chair and reveal it only by changing the angle of view, but at the same time form a background on which the design can emerge almost graphically. The clear clashing of parallel lines and angles are joined together through the useed curves and proportions to create a harmonious, timeless whole.